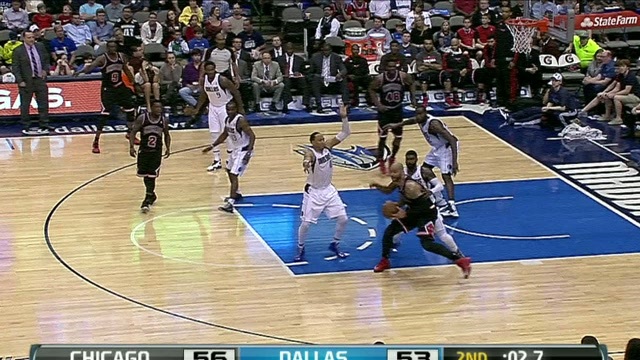 This is an example of a traveling violation after a player has ended his dribble. A moving player may only take 2 legal steps after gathering the ball to shoot, pass, or come to a stop. On this play, the offensive post player ends his dribble with his right foot on the floor, and he then takes more than two steps in order to attempt a field goal – stepping left-right-left-right. This is a traveling violation.